I went, I saw, I recorded! The 2018 edition of All Africa Music Awards (AFRIMA) has obviously brought out the Julius Caesar in me. But no! I didn’t go to fight anybody, neither do I intend to do so. I attended the programme and made observations. However, unlike Caesar, there was nothing to conquer; rather, a lot to write about at the award ceremony which was held at the Accra International Conference Centre on November 24, 2018. I am aware of the hysteria that greeted the awards especially being the first time it was held in Ghana (and hosted by Ghana, for that matter). Prior to the event, there had been controversies, higher expectations and allegations. Yes, allegations and counter-allegations! But were my expectation met? How will I rate the awards? Should we host it again next year and the year after? Well, I’ll let you know about that but let me run you through what happened on Saturday. Before the event in the evening, I had to rush to the conference centre in the afternoon to chase after my accreditation. The online application they initially gave out was scrapped for reasons best known to them so I had to get the tags manually. That was during mid day on Saturday. When I got to the Conference Centre, the place was being set up and the artistes were doing sound check. I had to wait for close to two hours before I got sorted. I went back home and returned later in the evening by 7pm ( I was late) but I got to know we were all late, after all. Afrima was late. It was announced through the promotional materials that the red carpet would start at 4:30pm but that did not happen. Red Carpet started around 7 o’clock by which time the main ceremony should have started in earnest. The whole programme ended at 1:50 am on Sunday. That was a crying shame! After getting an invitation card or press tag, one needed another ‘wrist-band’ tag to get access to the main auditorium. Well, this is common practice. However, I wonder why the organisers decided to keep the collection point for ‘wrist-band’ tags far away from the auditorium. The whole process of moving out of the premises and crossing the street to get a ‘wrist-band’ tag was laborious and useless. These tags could have been given at the entrance to the main auditorium as has been done for many events we have hosted in Ghana. I honestly do not know some of the artistes and their songs but for those I know that won awards, I couldn’t agree with the organisers more. I am not sure there are people who have a lot of qualms with the winners. It appears every winner deserved his or her award. It could mean the committee did its work well or just because most of the music lovers are not familiar with songs from other sides of the African continent, hence the difficulty to compare impact. Ghana grabbed eight awards at the awards and I am happy for all the awards we had. Kidi was named Best Artiste, Duo or Group in African Contemporary with his Odo Remix Ft. Mayorkun & Davido. 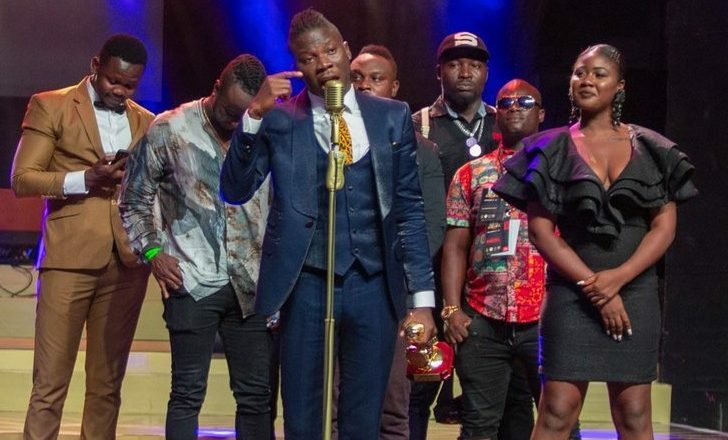 ‘Confusion’ singer Kuami Eugene won the Most Promising Artiste in Africa awards, with Stonebwoy picking the Reggae/Dancehall in Africa award. One of Ghana’s music legends, Teddy Osei, the leader of the Osibisa group, an Afropop band that gained prominence in the 70s, was also given a recognition award. I made an observation. 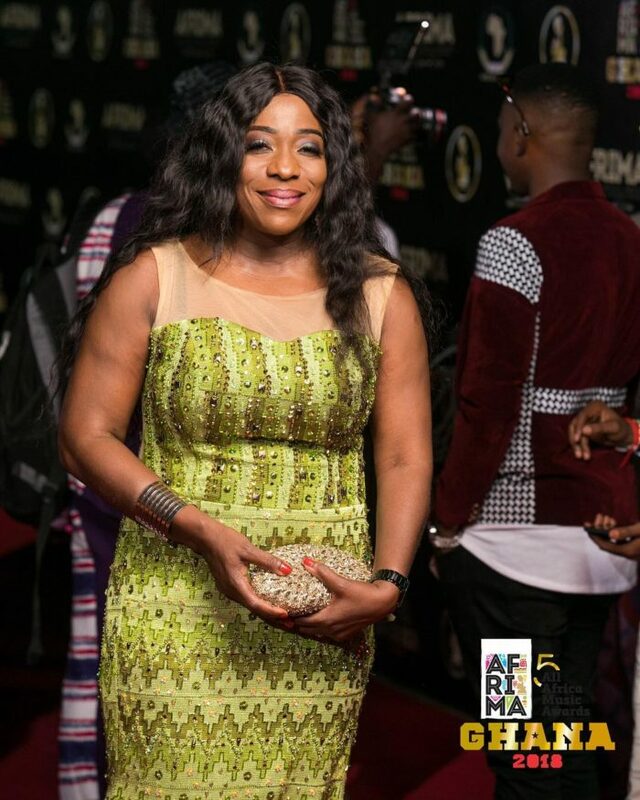 Most of the Ghanaian award presenters either wore African print or an attire with a touch of African fabric. Lydia Forson, Shamima Muslim and few others were all in African wear. Even apart from them, I also saw some government officials in African outfits. At least on that night, they communicated the tourism agenda of marketing what we have to world. The Minister of Tourism, Arts and Culture, Catherine Afeku and her Deputy, Dr Ziblim Iddi were also clad in African wear. Even though some of the patrons also wore Ghana (or Africa), there were other that chose to bring in some diversity. To me what matters most is that our leaders, the hosts and some of the cultural performers put on resplendent traditional costumes. Toofan did well on stage as usual. In fact, for a dance group of their calibre, it is always easy to keep audience excited. Then came one artiste who is putting Ghana on the map. Wiyaala proved she is really the lioness of Africa. She executed her task on stage to the relish of partons. King Promise! Dude has beautiful songs but I have always had problems with how he sings his owns songs. Any time he tries to harmonise his song in a different voice, he goes off key. I also realised that it got to a time the band was not in sync with the recorded instrumentation, so they had to pause and resume. I really enjoyed some of the performances from musicians from the other African countries even though I could not understand the languages in which the songs were being sang. DJ Switch was on stage to wow the audience with her DJ thing and some dance moves. The 10 year-old DJ keeps getting more exciting and intelligent by the day. She got the whole auditorium in stitches when host Anita Erskine asked what she expected from the patrons for her 11th birthday. “I want a Range Rover,” she said! This is a girl with big dreams. I know some may think she is being over-ambitious but I like her spirit – people of her kind don’t just dream, they go for gold. Stonebwoy also did well even though he was last to perform. He gave people who were present at the time a good reason to stay and enjoy him. He rock. To say Stonebwoy is a superb singer is an understatement. Pearl Thusi, a South African actress and TV host, Ghanaian born American actor/comedian Michael Blackson and Ghanaian TV host, Anita Erskine did well on the night. I was happy to see their costumes and the fact that they mostly donned African attires. Michael was adorned in cloth over jumper, with a crown – looking like a typical Ewe chief. Pearl put on a long dress with kente embroidered on it. Then Anita got dressed a quintessential South African Zulu apparel. They later changed into other attires. To me, they gelled well and kept the audience alive but for few pronunciation gaffes by Thusi and Michael. I am sure Anita was chosen to not only because of her MC abilities but because of her command over French. But I did not hear much French from her. Whoever worked on the slugs or the titles made a lot of mistakes. There were a lot of times they placed wrong categories and names for different artistes. Last year, I got mad at the air-conditioning system at the National Theatre, pestered the authorities with my annoying articles until they purchased 4 new mobile Acs to augment their central AC system. Just when we thought we had solved the National Theatre problem to quite an appreciable level, I observed we would have to add the air-conditioning system at the AICC to our many problems. At the programme, I realised they had added more mobile ACs but people were literally doused in sweat. The stage was not extra-ordinary. At least, it was not anything we had not seen at our Ghanaian events before. After all the hype and the assertion by Minister of Tourism, Arts and Culture, Catherine Afeku that it would be executed by some experienced foreign hands, there was no wow factor. 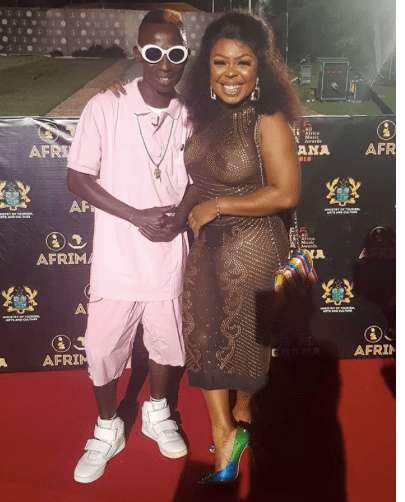 We have had better produced episodes of Vodafone Ghana Music Awards than the organisers did for AFRIMA in Ghana. Because the Minister has earlier said they had to let the people who have worked on the awards since its inception to produce the show, I was expecting to see a ceremony of the standard of SAMAs, Koras, BETs etc. This is an all – African event and I cannot expect that only Ghanaians would hijack the programme just because it was being hosted here. That would not make sense but at least they should have picked a majority of the people from Ghana – so we just pick a few from outside to augment what we have. It was sad to realise that even the ticketing and check-ins were all done by Nigerians. I also realised that the projectors went off a point. They were off for about 15 minutes. I also think the sound lighting could have been better. I don’t know what AFRIMA’s policies are on Gospel Music but I have a heard a lot of music fans express dissatisfaction about the fact that there is not category for gospel songs. I am aware of a raging debate by some people for even VGMA to white out Gospel Music from their nominations but that would not augur well for our industry. Religion forms part of us and would be right a gospel category is added. In this case, they could be categorised under Inspirational Songs. This could make room for religious songs including Christian and Islamic. It is a good idea to host AFRIMA just as it is to host Confederation of African Football (CAF) awards or even host a football tournament in Ghana. I was personally happy to have met and interviewed artistes I had heard of but had not come in contact with. That AFRIMA would benefit Ghana is no gainsaying but if we go about things like we have done this year, I fear we may lose. My humble appeal to the Minister: if by next year we don’t have an auditorium that befits the status of AFRIMA, we should not continue to host it. I am not sure the government would accept to host any international tournament in Ghana if we do not have standard stadia. We can’t be splurging money on AFRIMA when we can’t have proper auditoriums for events. The organisers did fairly well. I would like to congratulate them and the Ministry of Tourism Arts and Culture for making this possible, but there is more room for improvement. I would rate the awards ceremony 60%.